Thank you Wags & Whiskers from Pebbles. I feel lighter and cleaner and have recently been adopted! Thank you so much for all you do for A New Chance dogs. We are desperately in need of foster homes for dogs of all breeds, ages, and sizes. With some of our regular foster homes on vacation, we are already working at a deficit. By taking in a foster dog, you save 2 lives: the dog you take in and the dog you make space for. We cover all costs and provide you with all the supplies you need; all you give is a home and lots of love! We even have a trainer who works with our foster homes. Why not open your heart and home to a foster dog?! Please fill out an application to foster today! 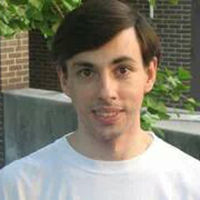 We’d like to extend a very special THANK YOU to Peter K. for raising $493.06 for A New Chance, by asking all of his family and friends to contribute to a fund in his honor instead of purchasing him birthday gifts this year! 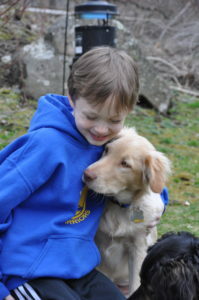 Peter is also the proud owner of an ANCAR pup, Quincy, adopted in February! 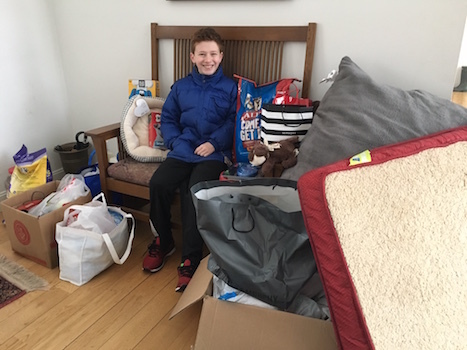 Thank you so much Peter; with this donation, we are able to help partially pay for the surgery Quincy’s brother had to fix his intestinal intussusception. 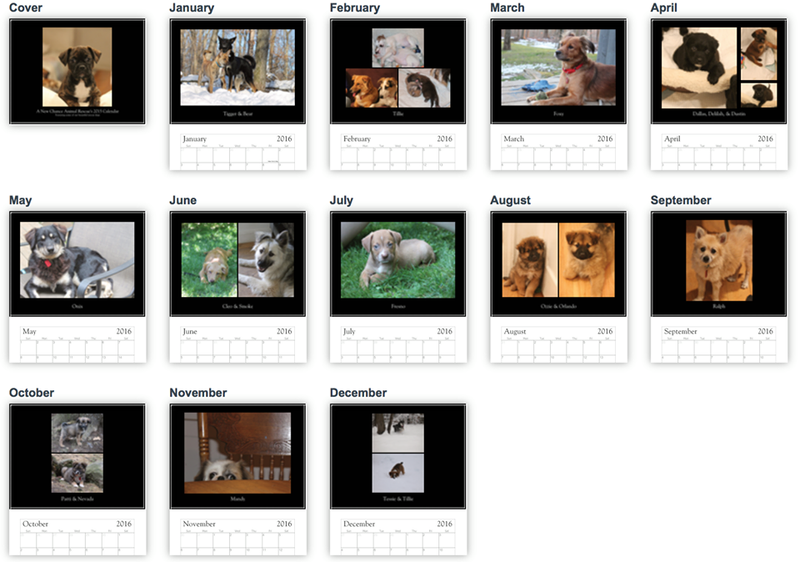 With a $30 donation or more, you can get one of our amazing 2016 calendars! 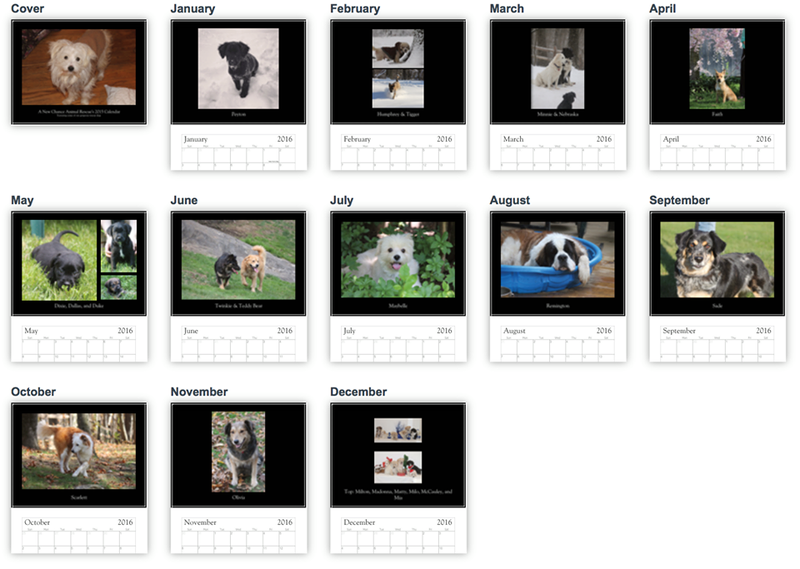 Each calendar features different photos of some of our gorgeous rescue dogs. Who wouldn’t want to look at these precious faces hanging on the wall every day?! Please visit our donation page and make a donation via PayPal. 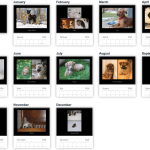 We have two calendars available – version one and version two. Please specific which calendar version you would like in the note. Make sure to include your address as well. Thank you and happy holidays! Gernine Tuckner wears many hats at ANCAR. She is an amazing Board Member, a dynamic volunteer, a generous donor, and a nurturing foster mother. 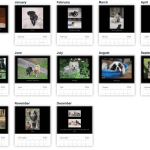 In 2015, Gernine has fostered over 20 dogs. She often takes puppies in together and works very hard to prepare them properly for their forever homes. Gernine is always welcoming and educating new volunteers and foster homes, and she makes a point to really teach each of her adopters about the responsibility of owning a dog before they consider adopting. She is passionate about the work ANCAR does and referred some friends to ANCAR to donate, foster, and adopt. 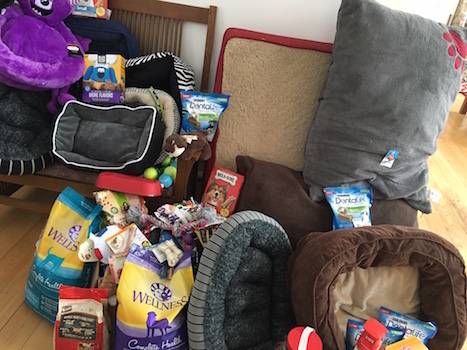 Gernine is a beacon of hope for the dogs that she opens her home to who would have lost their lives without her generosity. 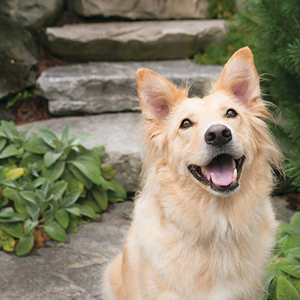 From all of the dogs you have helped save, THANK YOU Gernine for championing for them. 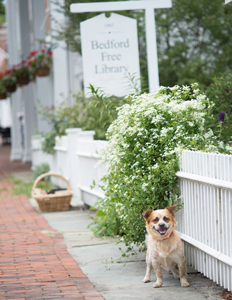 Check out the newest issue of Bedford Magazine to see Kingston on the cover and some of our amazing adoptable dogs inside! 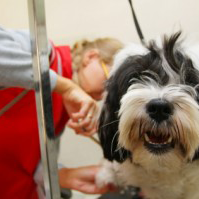 October’s issue featured an article entitled “Sheltered” about animal rescue efforts in our community. Thank you Jim Dratfield’s Petography and Jamie Kilgore Photography who donated their time to take these great pictures of our adoptable dogs. Thank You to Northern Westchester Hospital for including us in their gala benefit this year at Old Salem Farm! This year’s theme was Patient Centered Care and we were proud to represent the therapeutic and health benefits that dogs provide to humans. We met some amazing and caring animal lovers and our dog ambassadors, Reeses and Kingston, were on hand to give dog cuddles and kisses. 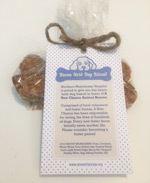 Northern Westchester Hospital even baked us these jumbo dog biscuits to hand out to guests as they left. 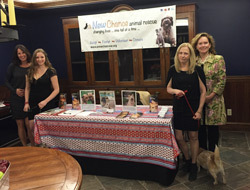 Thank you so much for inviting A New Chance to your annual event, Northern Westchester Hospital, and for giving us such a wonderful showcase to introduce people to our work. Since March, A New Chance has been working on trapping approximately 10 to 15 street dogs in a rural SC town with no animal control officer (read below). They are all very sweet, but are timid because the neighborhood kids throw rocks at them. These dogs so deserve their new chance! If you can help sponsor their extensive veterinary needs, please make a donation. From Humane Society of Marlboro County May Facebook Post…. 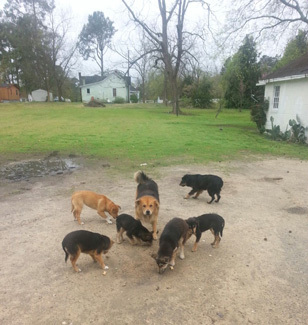 Back in March of this year, Tonya Brown published a news story about an elderly woman, Mrs. Cooper, in Clio, SC who felt trapped in her home by all the stray dogs in her front yard. Marlboro County has been without an animal control officer to pick up strays for a couple of years now (the county does pick up vicious or attacking animals). The President of our Humane Society, Jennifer Hyduke, visited Mrs. Cooper to evaluate the situation and see what the Humane Society of Marlboro County could do to help. The dogs and puppies on and near the property did indeed appear stray, hungry and not cared for although one neighbor claimed that one of the dogs was his. 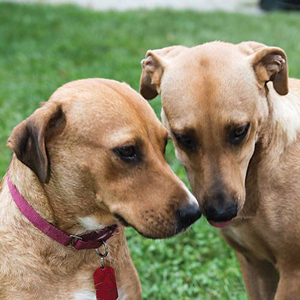 We had very little available space at our shelter and knew we were not equipped to deal with these very, very shy, unsocialized dogs who had likely never known a kind hand. 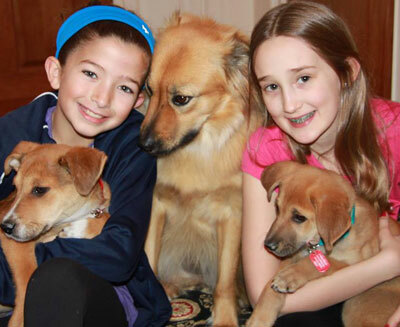 We reached out to A New Chance Animal Rescue from Bedford Hills, NY. We showed them the news story and explained the situation to see if they could help. They were horrified to read the commenters under the new story on CarolinaLive.com suggesting that the dogs be shot or poisoned with several people offering to come do just that! Sophia from A New Chance Animal Rescue immediately called fellow rescuer Maureen who lives in NC and works closely with her to save so many lives. 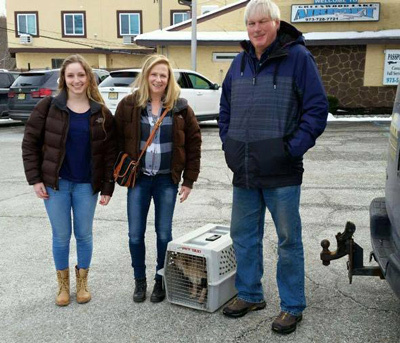 Maureen has a great talent in working with unsocialized and shy animals and agreed to help, driving down to meet with Jennifer and the Mayor of Clio. Since then, Maureen has traveled to Mrs. Cooper’s home in Clio, SC and captured several of the dogs and is rehabilitating them before sending them on to Sophia and ANCAR in NY to find new homes and new lives as valued pets. She will be returning over the next couple of weeks to trap more of the dogs still left there around Mrs. Cooper’s home. 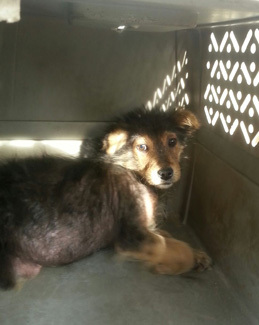 As you can imagine, these poor animals were all in very poor health – starved, full of parasites, covered in fleas and ticks, injuries, some almost bald from severe mange and heartworm positive. Maureen and A New Chance Animal Rescue are treating all their medical issues, will spay and neuter them, vaccinate them and treat them for heartworms which is all very, very expensive. Heartworm treatment alone is on average $350 per dog! That’s not counting all the weeks and months it takes to socialize them, transport these dogs and get them adopted into loving homes. We’d like to thank Pilots N Paws pilots Dina and Mark B., Todd Workman, and Andrew Topp for flying Marcus and Marlee to NY from NC this past weekend. 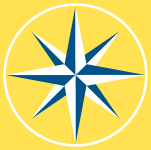 This is the first time we have worked with this wonderful organization. We can’t say enough about the dedication and excellent service that these volunteer pilots provide in transporting animals that are in need of a home to those who will rescue them. We are so grateful for their role in helping us with our two little sweethearts. 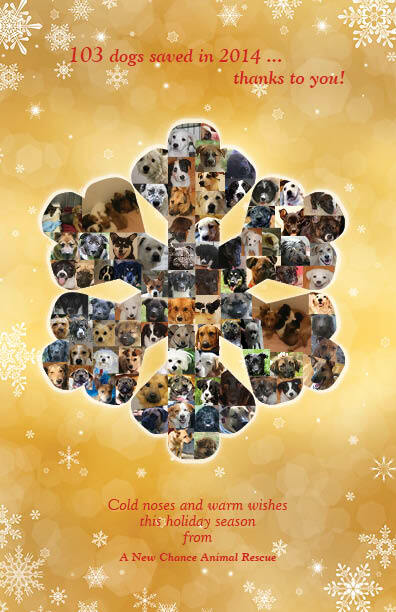 2014 has been a heartwarming year at A New Chance Animal Rescue with 103 sweet souls given their new chance. This is our best year yet and we have all of the old and new volunteers who stepped up to foster to thank for this achievement. Since we are a shelter-free organization, the correlation between the number of lives saved and the number of our foster homes is a direct one. This year some of our previous adopters have decided to “pay it forward” by caring for a new dog until the right home can be found; much as they are so joyful now with their dog, by fostering they are laying the groundwork for another family to experience that same joy. 2014 has also given us the opportunity to continue doing one of our favorite things: saving perfectly wonderful dogs that are never seen by the public and who are passed over by other rescues and adopters. This year we took many dogs, some of whom were even abandoned by their rescues after they tested positive for Heartworm; two mother dogs who were left behind to die as other groups saved their puppies; a dog whose leg needed amputation; a puppy who was hit by a car; two dogs surrendered by a backyard breeder in such bad condition that one had to be hospitalized; and a dog who was septic even as she sat unnoticed in the shelter. 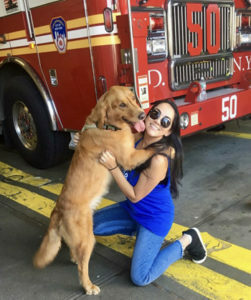 These dogs are only some of the sweethearts rescued this year, and as you know, even the healthy dogs have many expenses that need to be covered. Your continued support in helping these amazing dogs is truly life changing. 2014 has also brought to light an emerging problem in the south, besides their high euthanization rates. Both last year and again this year, it has gotten extremely cold in many of the states we rescue from. This has created a new crisis for the shelters that don’t have heat. One of our goals this winter is to also save as many dogs and puppies as we can from freezing to death, a fate much worse than humane euthanasia. With this new mission, as well as with our continued fight for life, we are thankful for the support of our volunteers, fosters, adopters, and donors. Thank you for your continued support and good wishes. With warmest wishes to all of you, and to all of your canine and human family members, for a joyous holiday season and a Happy New Year. November 1st marks the kick-off of our new Home for the Holidays Program. We have just received word that a loyal supporter has stepped forward and agreed to match up to $1,000 in donations we receive from the public through the end of December! Holidays are a time of joy, but not so for the many sweet dogs who are routinely euthanized in Southern shelters just days before Christmas in advance of the shelters closing for the holidays. The goal of the Home for the Holiday Program is to help as many homeless dogs as we can experience the joys of love in a real home during this holiday season. Right now, we are busy selecting new dogs from the shelters and hope to have them in our area within several weeks. To provide temporary homes for them when they arrive, we need to have more foster families. Would you consider opening up your home and heart this holiday season? 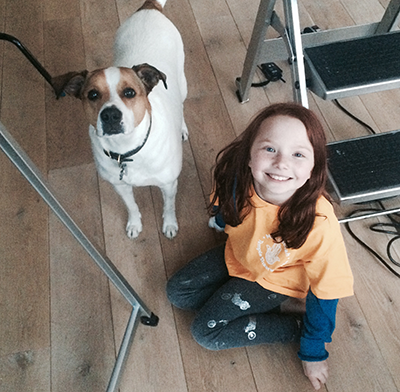 Click here to learn more about fostering. We cover all costs, so you can save your money for gifting! Another way to give meaningfully this season is to be a part of our supply drive. We need food and toys for our newly rescued dogs. We also need donations to help pay for medical expenses of our dogs. Also needed are wire or plastic crates, puppy pens, dog beds and covers. Any donated items can be dropped off at Kisco Pet Food Center (formerly known at the Pet Pub) at 383 North Bedford Road, Mount Kisco, NY. If you choose to order items online, Old Salem Farm will accept all supplies donated to us via UPS only. The address to use for online donation orders is: A New Chance Animal Rescue, c/o Old Salem Farm, 190 June Road, North Salem, NY 10560. If time is of the essence (and we know how busy everyone gets! ), please email us at donate@anewchancear.org and we will work with you to make other arrangements. This holiday season, thank you for giving a homeless dog a new chance! David Bruehl makes a point of paying attention to our Website, Facebook page and Twitter, so that he always knows what we need. Whether we’ve just pulled some dogs to safety, or are transporting them to NY, or someone is ill, David is always there donating to help cover our costs. When there has been a group of new arrivals, he makes a point of stopping by with bags of food so that we can feed them. He always has kind words for what we do and is so happy to see what he helps bring to fruition. David has been behind us since day one and has helped give so many of our rescues a new chance to be saved. Most of our new dogs have now been posted for adoption. They are too cute and unbelievably sweet! Keep checking back to see the rest as they are put up. We are still in need of monetary donations (which are tax deductible!) 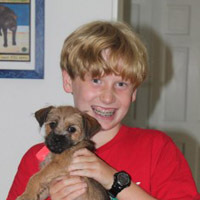 and donations of Blue Buffalo Puppy Food because we have many puppies and very thin dogs in our care. Please email us if you would like to donate food and we will make arrangements with you. A New Chance is thrilled to announce that we received our 501c3 status, making all donations tax-deductible. For those who have been donating anyway, this is retroactive to our inception in December 2011.